FiveThirty business centre in South Morang. Situated in the South Morang Activity Centre, FiveThirty is a retail, commercial and industrial business destination developed by Gibson Property Corporation (GPC) and McMillan Property Group (MPG). “We are pleased to announce the sales of four lots, totalling over 21,000sqm, sold to two of Australia’s most highly regarded car dealerships," said Charles Gibson of GPC. 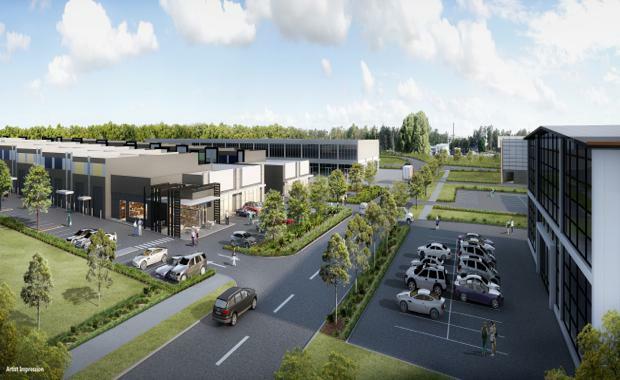 "Both market-leading companies are committed to establishing two new car dealership showrooms at FiveThirty, bringing over 120 new full-time jobs to the South Morang Activity Centre. "The details of the transactions cannot be disclosed due to legal reasons. Located at 530 McDonalds Rd, South Morang, FiveThirty is situated just 23 kilometres from Melbourne CBD and a 24 minute drive to Melbourne Airport. FiveThirty is positioned next to major retailers including Westfield, Masters, Bunnings, Hyundai and Toyota. FiveThirty has lots available from 1,000sqm to 20,000sqm to suit a range of uses and tenant requirements. Civil construction works are scheduled to be completed in December 2015 with construction of showrooms scheduled for completion in the second half of 2016.